Reeves values the ability to communicate ideas with three-dimensional, information-rich objects. He first put BIM to good use on a project for Kingsway School, collaborating with Quattro Design Architects in Gloucester back in 2006. Since then, Reeves has gone on to provide architectural BIM services and a full range of Vectorworks-based training courses. Kingsway School by Quattro Design Architects and Jonathan Reeves Architecture. He adds that all projects, not just large ones, need simplified collaboration. “BIM is all about setting standards and operating procedures that make collaboration much easier, simplifying the task of sharing data with other professionals who use different technologies, different file formats, and different ideologies,” says Reeves. In addition, he notes that BIM should be used by all practices to save time, money, and effort, enabling designers to focus on improving the architecture they create, while still enjoying the creative process. 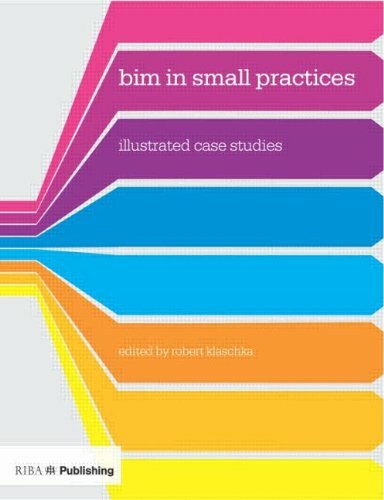 BIM in Small Practices: Illustrated Case Studies is available for purchase and would make a nice addition to your summer reading list. Enjoy!